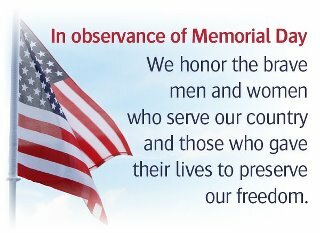 On this Memorial day, we’d like to give thanks to those who served, and especially those who gave their lives for our freedom. It’s not something we think about, taken for granted, our freedom is beyond precious, beyond what we could ever imagine America would be without it. 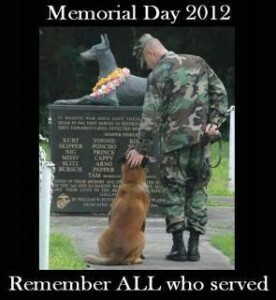 And even to the four-legged heroes of war, we say thank you for giving your lives in the name of freedom. 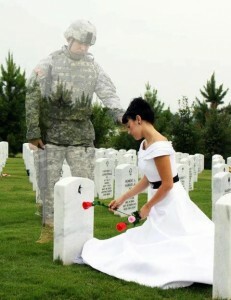 Here’s a few good pics and posts floating around the web this weekend, in honor of Memorial Day. And a quote from a friend, Jeff Waldman: “When you cringe at the political or religious ideologies of others, and when you get up on the soapbox to espouse yours, remember those who gave their lives to give you the freedom to do so. A veterinarian is asking anyone who will listen – legislators, judges, fellow pet owners – if the loss of a pet is akin to the loss of furniture, a computer or a car. 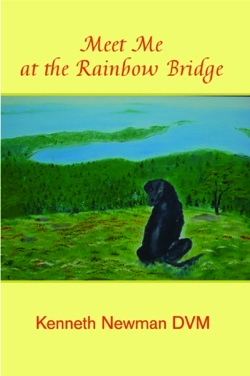 Kenneth Newman, a 33-year veterinarian and author of Meet Me at the Rainbow Bridge (www.meetmeattherainbowbridge.com), has proposed a law that answers his question. Gracie’s Law recognizes the emotional bond between pet and owner by entitling the owner of a pet killed through an act of malice or negligence to $25,000 in damages. “It’s time we change the laws to more accurately reflect what pets mean to the average American,” says Newman. Gracie’s Law would not supersede current laws, he says, which entitle owners to the property value of their pet. And it would not replace criminal prosecution for acts of malice. And owners who decline a recommended veterinarian procedure to save a pet would not be held accountable under the law, he says. Newman’s dog Gracie was killed in April 2008 when a negligent driver backed up 25 yards without looking, crushing Newman and Gracie between two vehicles. The vet escaped with a broken leg; Gracie saved his life, he says. “An attorney looked me in the eye and said that my dog was a piece of property, that I wasn’t entitled to anything for the dog, and that this was a simple broken-leg case,” he says. In every state, he says, laws view pets as property. Owners are entitled to no more than replacement value; no law takes into consideration the loss of companionship, grief, or pain and suffering. • 52 percent of Americans would rather be stranded on a deserted island with their pet than with another person. • 83 percent call themselves “Mommy” or “Daddy” in reference to their pet. • 59 percent celebrate their pet’s birthday. • Matrimonial law: Attorneys have experienced a 23 percent increase in pet cases, according to the American Academy of Matrimonial Lawyers. This includes custody battles over pets, veterinarian bills and visitation rights. Harvard now has a course dedicated to pet law. • The North Carolina Court of Appeals: While the plaintiff’s wrongful death lawsuit was denied, animal activists applaud a judge’s willingness to at least hear a case involving a Jack Russell terrier that died while undergoing tube feeding at a state facility. • Texas justice: On Nov. 3, 2011, Fort Worth’s 2nd Court of Appeals ruled that value can be attached to the love of a dog. That overruled a 120-year-old Texas Supreme Court case, which held that plaintiffs can only recoup the market value of their pets. • Largest award: In April, a Denver judge awarded Robin Lohre $65,000 for the death of her dog, Ruthie. Lohre had accused Posh Maids cleaning service of negligence for allowing the dog to get outside, where it was hit by a car. Newman notes this sets a new precedent for pet value, but that such uncapped awards may threaten affordable veterinary care. To read Gracie’s Law and copy it to share, visit meetmeattherainbowbridge.com, click “image gallery” and scroll down. Kenneth Newman graduated from Purdue University with a Doctor of Veterinary Medicine degree in 1979, and has since been a practicing vet. He experienced a badly broken leg and the death of his Labrador retriever Gracie due to the negligence of a driver in April 2008. Since then, he has proposed and advocated Gracie’s Law, which recognizes that pets are more than common property. Newman lives with his wife and their son, as well as several pets. Here’s a real note (and our quick response) from an enthusiastic customer who’s just staring out with the backyard birding and gardening thing. This is the kind of stuff we love to see! Aside from a happy customer, another wildlife friendly habitat is being born. “I just received my Solar hanging bird bath and ohhhhhhhhhhhhhhhhhhhhhhhh I LOVE it……I have it in my back yard…..I want to purchase another one for my front yard…..Do You have different styles and colors of solar hanging bird baths??? I am new to having a garden and bird feeding and baths….I love it!!! It is soooooooo peaceful!!! Do I need to put anything in the solar bird bath for the water??? Should I change the water everyday???? Thank You for the 2 gifts….I need to get a suet feeder. What is the pop.outz that you are speaking about on the card that you sent me?? Also, I have a bird house, should I put the feathers, moss and horse hair in the house with some hanging out in order to attract birds??? I am not sure how I should present this to the birds? Thank You so much and any information is greatly appreciated!!! It really is so cool just to sit and watch, sorta takes you away from the “day-to-day”. Even though I’ve been doing this for a long time, there are still scenes and birds who never cease to amaze and bring joy! The first brood of Bluebirds fledged a few weeks ago, and mama brought the babies down to the feeder last night. When they first leave the nest, they stay in the tree-tops for about the first 10 days. So darn cute! I’ve been trying to lure Orioles for years (gorgeous birds) who are considered migratory (only here in summer). My first one was in the yard the other day. The brightest hue of yellow-orange I’ve ever seen! They eat grape jelly and oranges! Hummingbirds will come back to the same place every year if they find the spot to their liking. 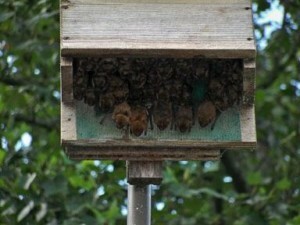 Last night while sitting outside, one buzzed my head and sat only a few inches away while drinking at the feeder! What a site when they’re that close! Jeez… this sounds like a blog post right here! Anyway, you’re off to a good start because fresh water really does entice more birds. Just buzz me any time with any bird questions! Its great when cool stuff comes along that really works! This innovative nyjer feeder is unlike any other in the way it distributes the seed. 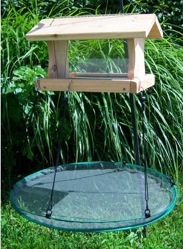 Instead of one large tube with lots of perches, The Finches Favorite 3-Tube Nyjer Feeder operates on a horizontal principle. Typically, seed sitting at the bottom of a finch or nyjer feeder does just that… it sits there and molds – then it starts to stink! And then your finches will stop visiting. With the cost of thistle/nyjer seed these days (some refer to it as black gold) who can afford the waste? 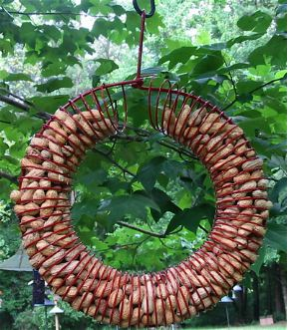 Not only does it make great sense as far as seed staying fresh longer… but all 36 birds will be in full view when this feeders’ perches are occupied. That’s a pretty impressive statement, and an even more fantastic sight to behold! Nyjer is also unlike any other birdseed or seed mix. Its non-germinating property means no weeds sprouting, and squirrels usually leave these feeders in peace! If you feed thistle year-round, Goldfinches’ electric yellow plumage will grace the yard in summer. If you already offer thistle in your yard, an extra feeder is always helpful during Goldfinches’ busy season. The babies are fed nyjer almost exclusively. 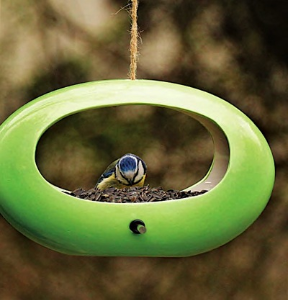 Goldfinches have one of the latest nesting seasons, so it’s not too late! 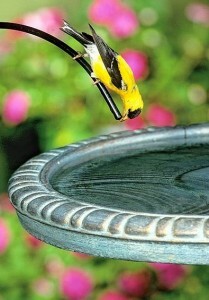 Don’t forget the fresh water too, birds are drawn to this life force year-round.